It has been snowing all day. My poor husband is trying to keep up with the driveway since we must go out later tonight. I thought for all his hard work, he deserved a nice cup of hot chocolate. 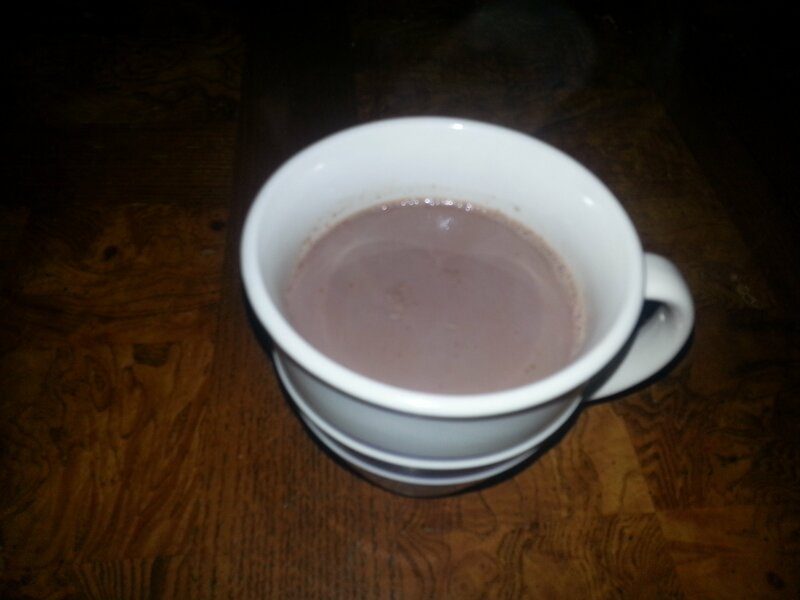 Not that packet stuff, but real hot chocolate. It is super simple to make and you probably have everything you need on hand. If you are trapped at home in the storm, make this. It’s worth the 8 minutes. The espresso powder is optional but it really brings out the cocoa flavor. The hot chocolate does not taste like coffee if you add this. Feel free to leave it out if you wish. The recipe is still great without it, but the espresso powder makes it awesome. Combine cocoa, sugar and salt in a medium sauce pan. 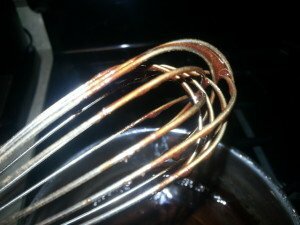 Add boiling water and whisk to combine over medium heat. Continue heating for approximately 2 minutes or until the sugar is fully dissolved. 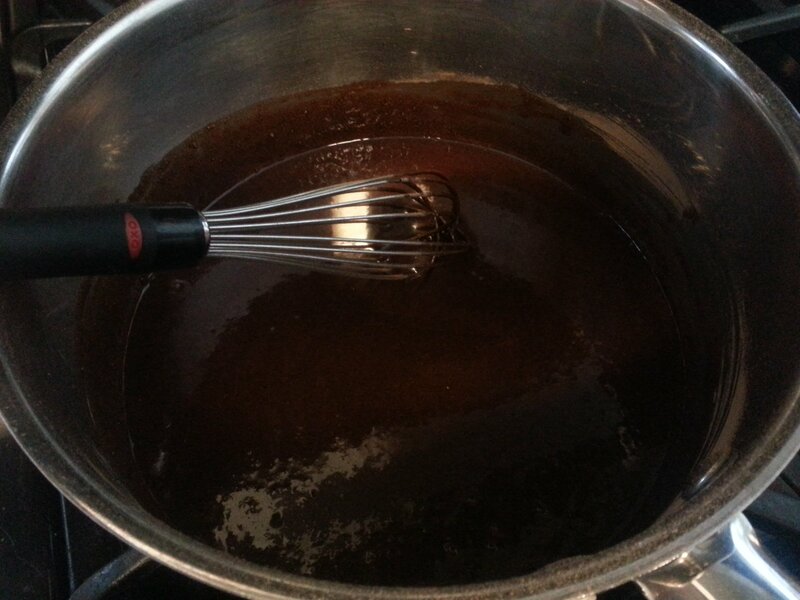 Keep stirring so you don’t burn the chocolate. Looks good just like this. It should be between the consistency of chocolate syrup and hot fudge. I was temped to give up on the hot chocolate and just eat the syrup, but I carried on. 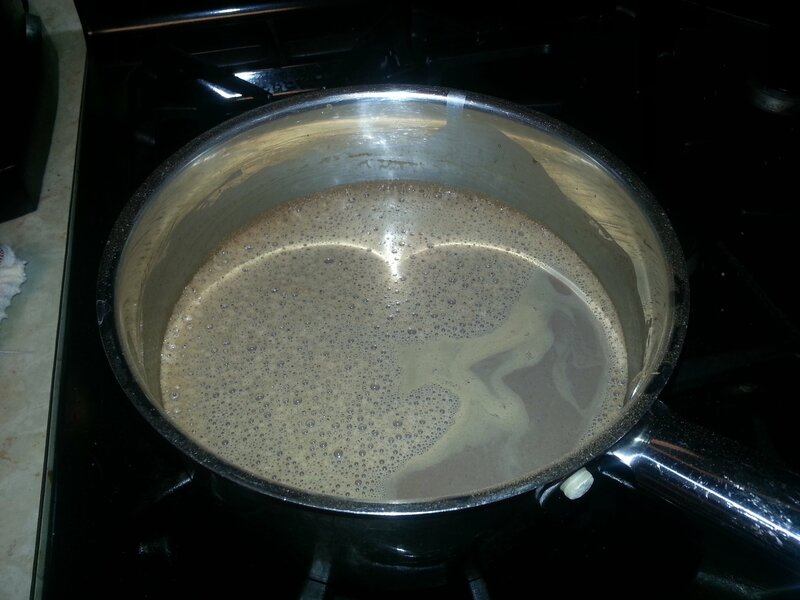 Add the milk and espresso powder (if using), stirring to combine. Heat on medium to medium high heat for about five minutes or until your hot chocolate is really hot. Add the vanilla and half and half or milk. This will help to cool down the hot chocolate so you can drink it immediately. Trust me, you will want to drink it immediately. If it is snowing where you are, stay safe.